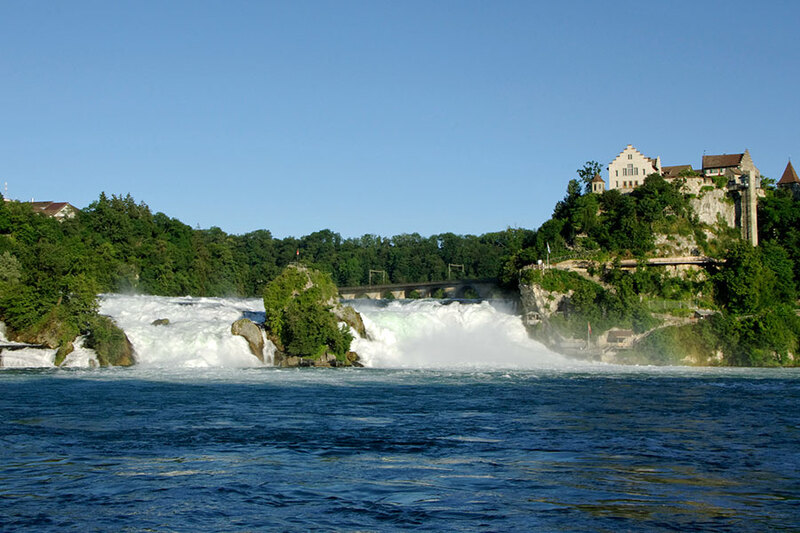 No need to go to the USA to see huge, spectacular waterfalls: the Rhine Falls is much closer to home and offers an equally impressive experience. 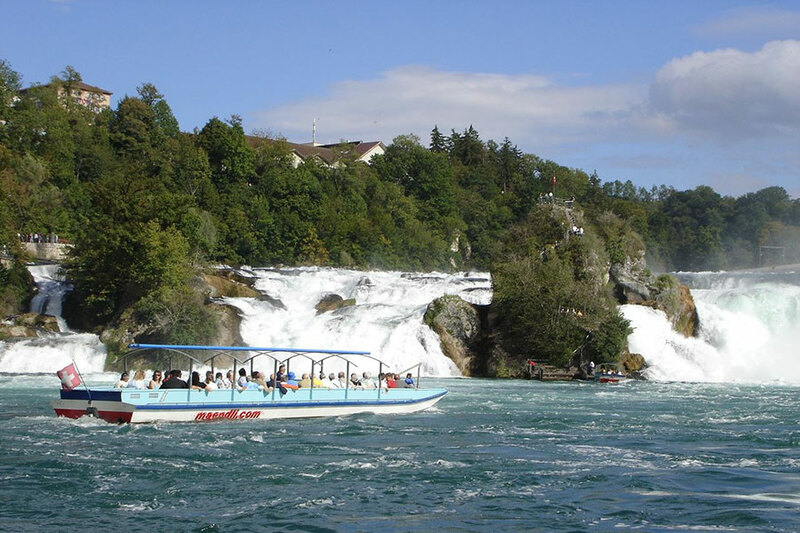 Europe’s biggest waterfall is 150 metres wide and the water from Lake Constance drops a full 23 metres as it plunges into the depths below. You have the option of viewing the falls from either the left of right bank of the river, but whichever side you choose, you’ll be treated to an awesome display of the forces of nature and some architectural gems. 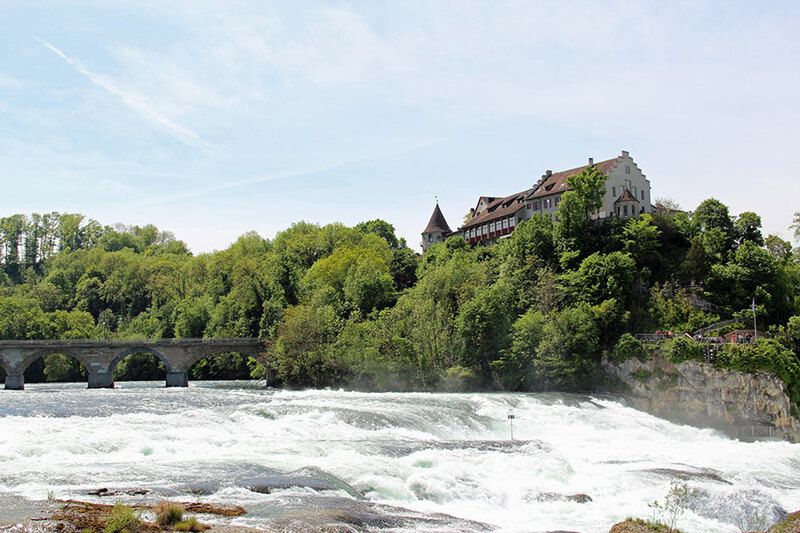 On the right bank of the Rhine in the Canton of Schaffhausen you’ll find the impressive Wörth Castle. The building, which dates from the 12th century, was used as a customs post for a long time but now houses a restaurant. On the left bank of the Rhine in the Canton of Zurich, is Laufen Castle, which was first mentioned in official documents back in the year 858. Climb the steps to reach the viewing platform for spectacular views over the river. 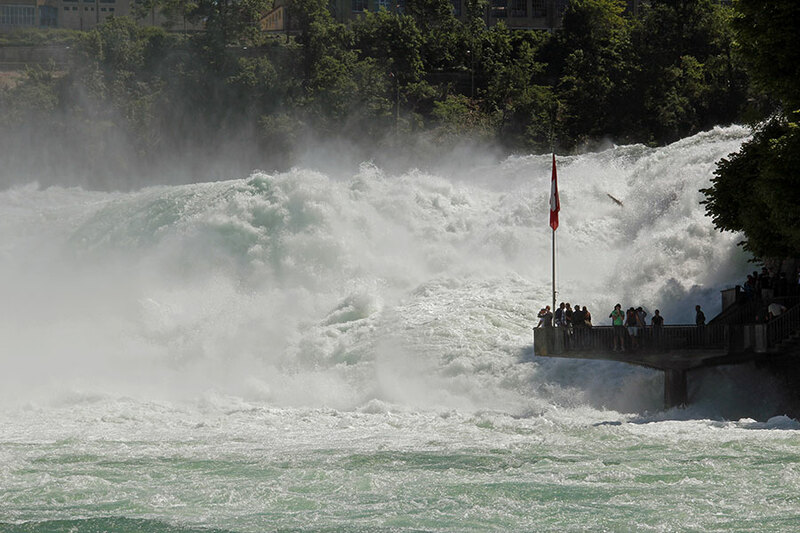 It’s also possible to take a boat trip to experience the giant waterfall from really close quarters. Along with river crossings and round trips in the basin, you can also take a trip to “The Rock”, a steep rock formation that stands in the middle of the falls and that can also be climbed. 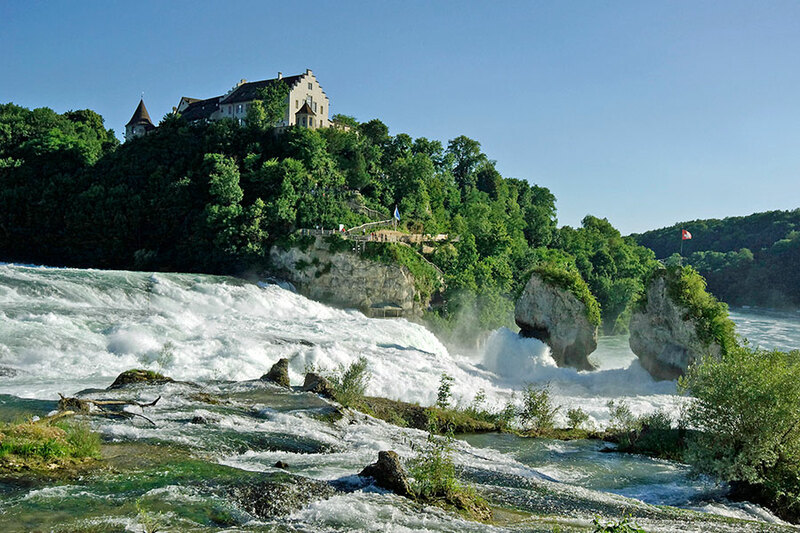 The Rhine Falls is particularly spectacular in the evening when the river and its surroundings are illuminated. 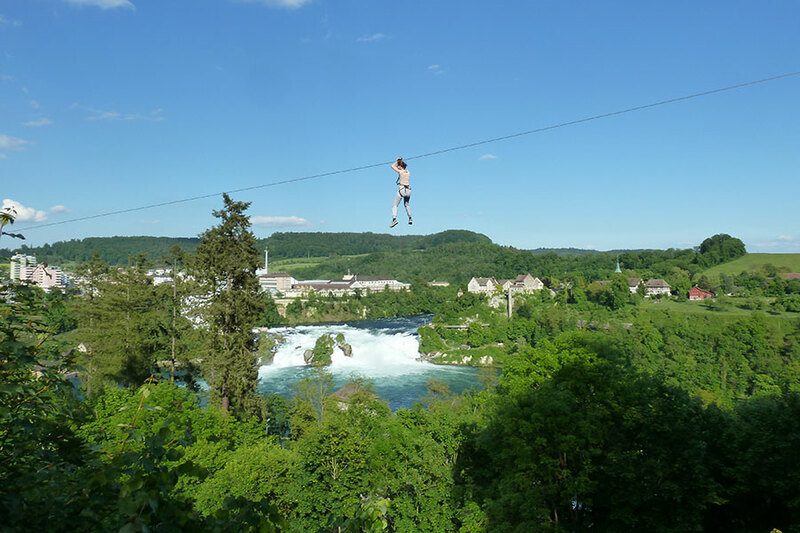 There are, of course, plenty of other sights and attractions in the area, such as the beautiful medieval towns of Schaffhausen and “Stein am Rhein”, which have plenty of tales to tell about the history of the area. If you’re the kind of person who likes to embellish your holiday tales with some curious and interesting facts, then a visit to Büsingen is highly recommended. This small town, which forms part of the administrative district of Konstanz in Baden-Württemberg, is actually completely surrounded by Swiss cantons, so it is the only German town that is an entirely separate enclave.